We have just finished up my daughters first year of homeschooling. To end our school year out I wanted to make her sensory time extra sweet. She loves playing with her slime so I decided to turn that slime into something edible So I came up with this Lifesaver Gummies Edible Slime. Lifesaver slime is so much fun to make, but of course when we are getting messy we really like to get messy and have fun. 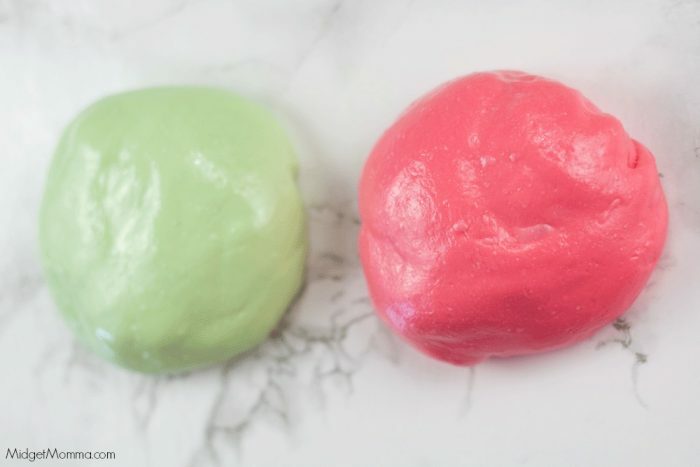 So many times when we are making this edible slime we also make Starburst slime. Both of them are totally edible and after the kids have learned the science behind making them, they can eat them too! In homeschooling, sensory time is a fun break for the kids but it is always a learning experience. Check out some of my favorite sensory activities Edible Cloud Dough, How To Color Rice, Big Bubbles, and DIY Fall Scented Play doh. You will want to have bowls that are perfect for all of your sensory activities, I like this 10 piece set of Glass Bowls with Plastic Lids, they are different sizes and they are Microwave, Freezer and Dishwasher Safe! When you melt any gummy candy it will change it back into its liquid form which is perfect for making edible slime. Then adding cornstarch and powdered sugar to the melted candy gummies you get an tasty edible stretchy slime. You will need the addition of coconut oil to take away some of that sticky texture. I recommend having a bowl of water next to your child when they are playing with the dough because it can get sticky and it will not stick to wet hands as much. We didn’t mind it sticking to our hands because we were also enjoying eating edible slime off our hands! I am not the biggest fan of the taste of gummy lifesavers yet I couldn’t get enough of this slime. This Lifesaver Gummies Edible Slime is a win win on fun and a tasty treat! 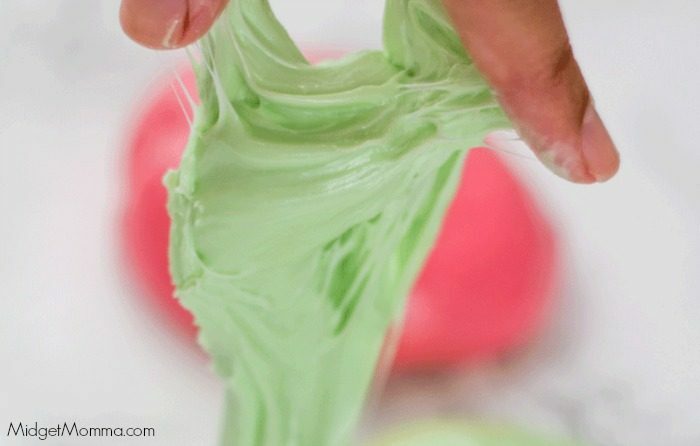 If you only want to have one color slime you can make a half of batch of this recipe and just combine all the colors together. If you want you can get the special flavors of the gummy lifesavers like the exotic berry for only pink slime.Have fun with it and make the colors that you want to! Place your lifesavers in a medium sized microwave-safe bowl. Microwave on ten-second increments until all of the lifesavers are melted. Add the coconut oil to the hot lifesavers and stir until well combined. Stir in the cornstarch and powder sugar until well combined. 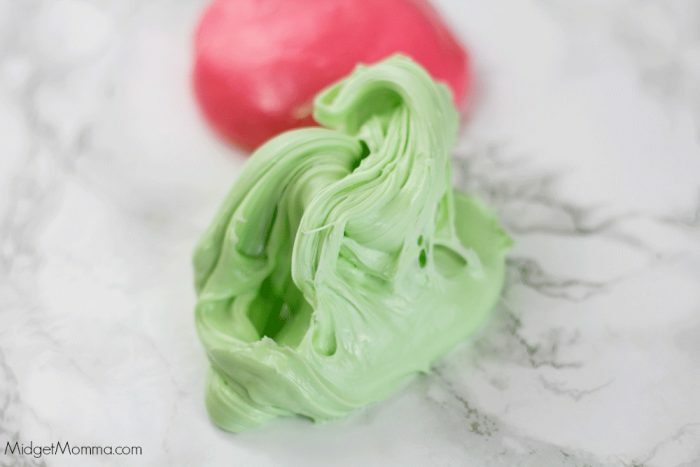 Allow the slime to cool and let your kids have a fun tasty treat! Looking for More slime? Check these out! Looking for More kid fun? Check these out!